Scotland’s food and drink industry has a long list of potential Brexit related worries, many of which have been underlined by the fear that supermarket stocks could run low in the event of a no-deal scenario. Food security in Britain is a complex topic and I’ve chosen to focus here on the second part of the story: Britain’s overseas trading relationships and food exports. As discussed in my previous blog, Britain imports a substantial amount of its food and drink, and 79% of imports come from the EU. However, import figures only tell part of the story. Since 2010, Britain’s food and drink industry has been a shining light in the UK’s manufacturing sector and exports have seen phenomenal growth, increasing by 93% in seven years. The EU is a large market for exports, receiving 40% of Scottish produce and 62% of UK produce. The USA comes at in second place, followed by China, Hong Kong and Australia. What is Britain exporting? Top of the list are premium products like whisky, chocolate and salmon, while gin, beer and cheese are growing in popularity. Outside of the EU, there are promising signs that the market for Britain’s food and drink in the rest of the world is growing. Asia presents real opportunities, with 600 million affluent middle-class people who like buying western foods and have been buying Scotch whisky for years. 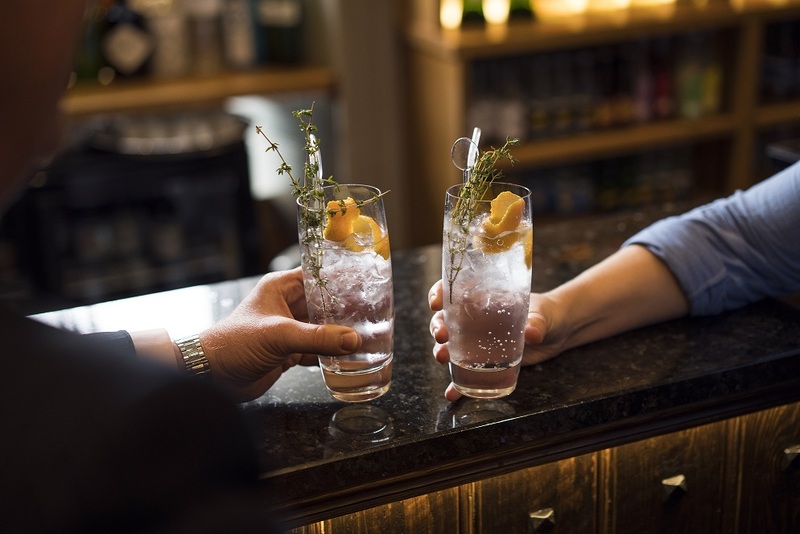 The gin industry has emulated Scotch whisky’s success, where international market sales reached over £500 million in 2017. Pickering’s Gin in Edinburgh has recently opened a gin and seafood bar in Beijing, the first of several planned to open across China. Exporting high-quality produce is something Scotland excels at. Brand Scotland carries weight on the world stage because we have the reputation for making world-class quality produce and delivering the best experiences. There’s a caveat here: any dent in Britain’s reputation as a quality producer could harm export markets. There is a real concern that after Brexit, the UK will no longer be protected by the EU’s tariff system and could become open to potentially lower quality, lower cost and chemically treated imports from countries like the US, New Zealand and Australia. If this were to happen, industry leaders have warned that British producers may be forced to reduce the quality of their produce in an attempt to compete against these lower-cost producers. Any moves to do so could harm the reputation of Scottish produce as a mark of quality. If UK producers cannot export to the country’s largest trading market with the same efficiency after Brexit, other markets present opportunities – but this is not without its complexities. However, the success of products like whisky and gin in overseas markets shows that there is merit in investing in strong brands and continuing to focus on what the industry does best - making great-tasting products. For more information or to discuss how Brexit will impact your food and drink business, please get in touch with me, Adam Hardie or another member of our food and drink team. Brexit: Will Britain be food secure? The debate about a possible no-deal Brexit has highlighted a key concern for the food and drink industry: will the UK be food-secure after it leaves the EU? In the first of two blog posts that discuss the potential impact of Brexit on Scotland’s food and drink industry, Johnston Carmichael’s head of food and drink Adam Hardie looks at how much food we import.